Wynnes is an Independent Patent and Trade Mark Attorney Firm registered to practice in Australia and New Zealand. We have offices in Brisbane and a team that provide a personal service to clients to protect and manage their intellectual property in the commercially important market. We have a core service offering of preparing and filing patent applications by transforming your inventions into commercial legal documents that stake out your area of technology. We also prosecute patent applications to acceptance and grant. 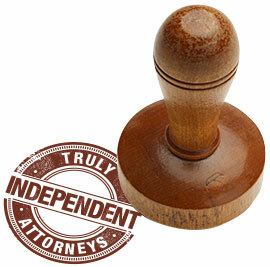 We prepare and file design applications and trade mark applications. We can prosecute these applications and obtain acceptance and registration of these applications. We also prepare and file patent, design and trade mark applications in overseas countries through our global network of associates. We offer other services in handling and managing intellectual property matters such as infringement opinions and advice, avoidance advice, searches and dispute matters. We take a holistic view and offer advice regarding confidential information, plant breeder’s rights, business name registration, domain name disputes and IP Audits. The focus of the firm is to provide a personalised quality service to obtain intellectual property (IP) rights for our clients in the simplest, most efficient and cost effective way. Wynnes is a boutique sized business, but enormous in terms of value. We choose to remain a tight knit team of professionals who look after a variety of clients. Our passion is our strength, our clients are our focus and our results speak for themselves. We stand for quality and integrity; our goals are to provide a service to our clients where we are honest and communicative. We feel it is important to work with full disclosure and transparency so our clients understand the process and work with us to create quantifiable outcomes that are put in place for the long-term. Wynnes has a core objective to make the process of registering a patent, design or trade mark as simple as possible whilst ensuring that the process is followed diligently to achieve a timely and cost effective outcome. Our patent and trade mark attorneys on staff have had experience in dealing with preparing and filing applications, prosecuting applications, managing and enforcing rights of patents, designs and trade marks in Australia, New Zealand and other overseas countries. We appreciate that the commercial value of an invention, design or trade mark is encapsulated in the associated intellectual property rights. If the intellectual property rights are not properly prepared, prosecuted and managed, then others may freely infringe or potential licensees simply "work around" the patent, design or trade mark. We act for clients based in Brisbane Sydney, Melbourne, and Perth and regional Queensland including Gold Coast, Toowoomba, Sunshine Coast, Rockhampton, Cairns and Townsville. We also act for Overseas clients in regards to Australian and New Zealand matters. We provide free information regarding patents, designs and trade marks written from an applicant’s point of view and in regards to commercialisation of their project. Our initial consultation with a new client is free and we advise the client of their options before they provide us with instructions. We also prepare a summary table of each client's IP portfolio, identifying the IP and next required action and if possible expected costs, so to assist a client in managing their IP and budget for the upcoming year. The summary table is prepared on an annual basis and free of charge. We are upfront with our costs and the client is fully advised before work is started. We have a schedule of charges which is available upon request. With a commercial perspective in mind we prepare specifications with a description of the commercial advantages of the invention. We provide an ongoing service in attending group or strategy meetings and advise on direction to provide maximum protection. We actively encourage clients to exploit their inventions and as a consequence our clients have a comparatively high success rate in commercialising their inventions. We can also provide advice on strategies for commercialising an invention based on our clients’ cumulative experience. We encourage our clients through the commercial phase of their project. Our continual involvement with our clients has helped many to succeed and make money. If our clients do well then they will pursue protection of their intellectual property in overseas markets and engage our services further. Hence the tag line – you succeed we succeed.